I’m going to pass on your suggestions to the new Retail Cafe Manager. 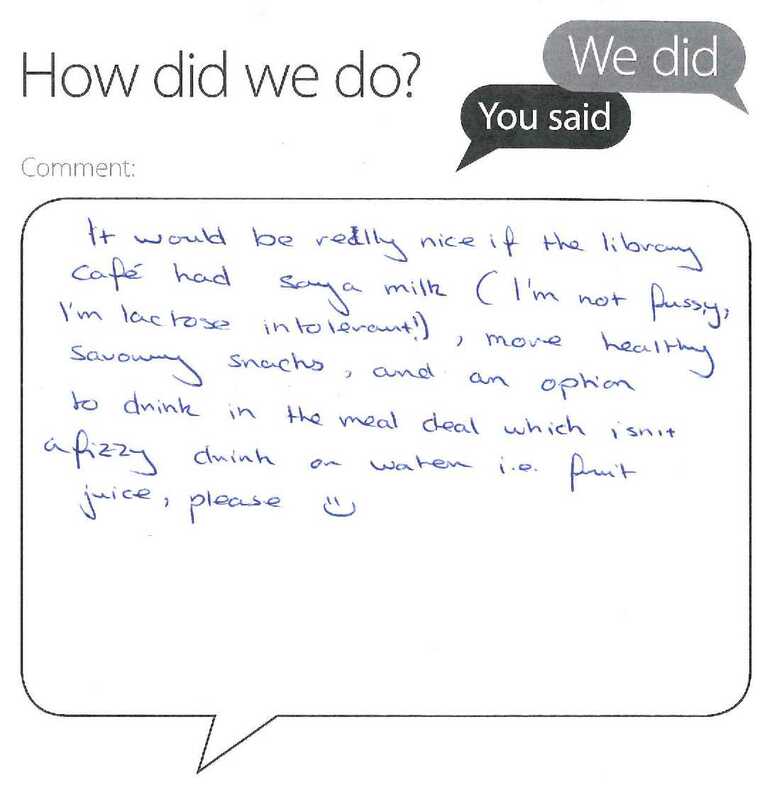 She is responsible for running the Library café and I know she is very keen to get feedback on the food and drink offer. I’m sure she will be in touch shortly.